The moment a student gets into class XI, he/she has to face the inevitable question “What will you do after XII?” But in the present times, the scenarios have changed much as students are going for unconventional courses and stream neutral options (courses irrespective of the subjects studied in XII) like mass communication, hotel management and law among others. In this era of information overload, students are open to numerous career options. Law, as a career, is booming at present. An ambition to enter the legal profession is generally guided by inspiration – be it from family legacy, social icons like Mahatma Gandhi or Nelson Mandela, among others. The list of eminent personalities, who have used this degree as a foundation to build our society, and bring about a change, is endless. In earlier times, law as a career was looked down upon. It’s obsolete to limit lawyers to stingy courtrooms and boring black robes. From suave and elegant corporate offices to working in top media houses, lawyers have moved in two folds from the conventional way to a much modern outlook and approach. The face of lawyers has exponentially changed in the past decade or so. Legal profession looks lucrative and attractive, but it requires a skill set and perseverance to sail through. There are certain qualities that this career demands. These are communication skills, reading habit, objectivity and opinionated. Law as a career option provides all the security and stability that one demands in a profession. Law is not only about rules and regulations but also offering a plethora of other options such as litigation, corporate houses, media, LP and academics among others. As dynamic stream as it is, law provides variety of options. The Savvy law school graduates, with the skills to handle positions are in huge demand, and the demand has surged drastically. 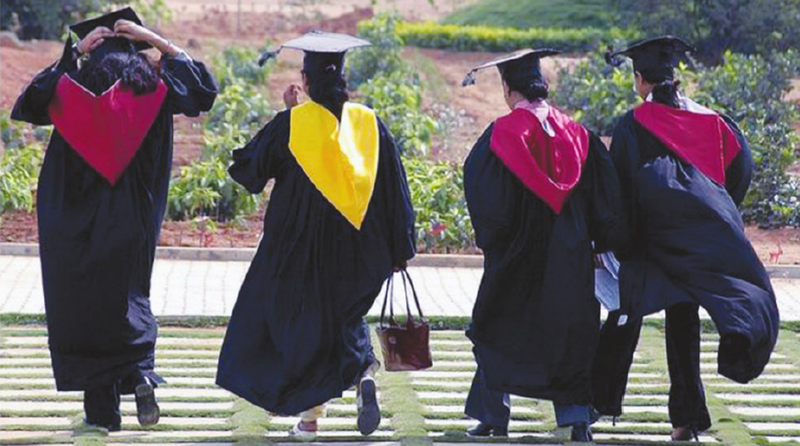 This upward trend to become a law graduate will increase day-by-day as the number of trained lawyers are less than what is required to handle an economy as big as that of India. A law graduate can choose from a number of options available. Practising Law in courts, the traditional career path, but it is essential to learn the intricacies under a senior counsel. The graduates are supposed to qualify a Bar Exam before they join the courts. Litigation provides a whole gambit in both public and private domain. A law graduate can also go for judiciary. It is also the most suitable choice for UPSC applicants. Corporate houses these days require an in-house counsel who helps them in drafting and negotiating contracts; ensuring and monitoring compliance with rules and laws, and handling legal disputes. Legal process outsourcing is an extension for the corporate where all drafts and compliances are handed over to an external counsel. Another major point which excites graduates irrespective of which stream they are from is the fact that as professionals, both journalism and law are entwined with each other. They require great writing skills as well as critical knowledge of the government and the legal system. Legal journalism is coming up as a career option strongly. To become a successful lawyer one must clear the CLAT exam. Law colleges offer an intellectual journey to the students. Besides studies, they provide everything from drama, debates, discussions, fests, competitions and presentations. Another reason why it is one of the most-sought-after choice is that one can apply for it irrespective of the stream one belongs to. The admission to this course is through an entrance examination, which is an aptitude test. The sections that comprise of the entrance exam for law are quantitative techniques, logical reasoning, verbal ability, general awareness and legal aptitude. One who wants to make a career in law must start preparing for CLAT from as early as class XII. At least two years of preparation is required to be ready for the entrance exam. There are success stories of aspirants who drop a year just to get into the best LAW College in India. The writer is national product head, LAW PRATHAM Education.